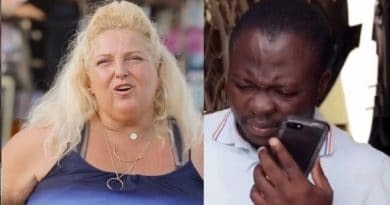 90 Day Fiance spoilers from an inside set source say that Angela Deem and Michael Ilesanmi are currently in front of the TLC-Sharp Entertainment cameras. The network is filming the duo in Lagos, Nigeria and it looks like it might be time for Michael to make his way across the Atlantic at last. Reports say that the embassy approved Angela Deem’s K-1 visa for Michael Ilesanmi back in February. With TV cameras filming them again, perhaps he’s packing to come to the US. In addition to the source that exclusively told Soap Dirt they are filming, Michael dropped a hint on his social. He posted the pic below with the hashtags “America” and “escape”. That sure sounds like a guy planning to pack his bags and get the heck out of Nigeria. This is the second time in recent months that Angela Deem headed across the Atlantic and into her younger lover’s arms. Then, Angela was spotted at the end of the year in Nigeria and some reports questioned whether Michael would come with her then. But Michael remained in Nigeria when his 90 Day Fiance bae went back to Georgia. It looks like Michael Ilesanmi and Angela Deem get another season of the TLC show, but this time on the “regular” franchise show of the show. Soap Dirt’s source confirmed Michael’s K-1 was approved in February. So, this filming is reportedly the trip where she comes to bring him home with her. Of course, Before the 90 Days watchers know that Michael’s sole goal in life is to come to the US and Make America Great Again. Because he idolizes Donald Trump and wants to be a businessman like him. But it could be that 90 Day Fiance Michael’s vision of ‘Merica and his reality may be worlds apart. In fact, Michael’s new life in South Georgia may shock him. Right now, he lives in Lagos. That’s a busy industrial hub and a modern city. 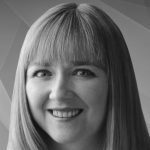 Where Angela Deem lives in Hazlehurst, Georgia is not. What 90 Day Fiance fans might not know is just how rural it is where she lives compared to his current life. Hazlehurst is a tiny town in rural Southeast Georgia. It’s tiny. And a three-hour drive to Atlanta, which is a busy hub. But “business” in this tiny town consists of four fast food shops, a Wal Mart Supercenter, a Piggly Wiggly and a few convenience stores. Plus there is the jail where her daughter spent some time. (1) The main intersection in Hazlehurst. (2) The courthouse TLC uses to film their B roll. (3) The little jail where Angela’s daughter Scottie Deem was arrested. (4) The honky tonk where they filmed in Season 1 and where Angela was drinking the night of her DUI. (5) Later that night, cops pulled her over and arrested her for DUI last year at this intersection. (6) The jail where 90 Day Fiance Angela Deem spent the night after her DUI arrest. There’s not much there aside from farms, trailer parks, and modest homes. The town is so small you can blink and miss it. The lack of any backdrop there is why 90 Day Fiance cameras likely always puts Angela Deem in front of the courthouse. It’s the biggest building in town. So, the bottom line is that Michael Ilesanmi seems to be coming to the US with dreams of big city, business, and success. But, he’s about to land in farm country that’s a lot more primitive than the bustling city he lives in now. Nonetheless, it should be entertaining for TLC fans as they’re filming now. To keep up with all the reality romance mess and 90 Day Fiance spoilers, check with Soap Dirt often. 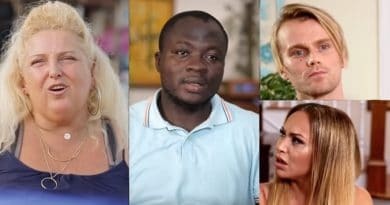 ’90 Day Fiance’ Spoilers: Angela Fleeced by Michael – Darcey and Jesse in Sick Show of Passion? ’90 Day Fiance’ – Angela’s Missing Money a Bank Error – Michael a Victim of TLC Editing?